Dr. Rodgers is on the editorial board of the American Heart Hospital Journal. He has published over forty articles on cardiovascular disease and has been the principle investigator on numerous research projects. Dr. Rodgers has a special interest in the early detection and treatment of atherosclerosis and is the founding member of the Society of Atherosclerosis Imaging. He initiated the first hypertrophic cardiomyopathy screening program for student athletes in Central Texas. 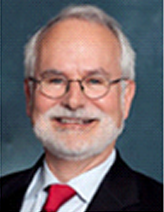 Dr. Rodgers was President of Austin Heart, the premier cardiology group in Central Texas from 1999-2004. He was the Medical Director for the Heart Hospital of Austin in 2004 which was recently designated a Center of Excellence for United HealthCare. He continues to serve as the President of the Austin Heart Foundation whose mission is to serve the greater Austin community in cardiovascular care.